Things are moving at a turtle’s pace in the studio this past week. I am wiping off paint after spending many hours putting it on, and that is not a good thing…So I thought I would share this last bunch of photos from Oahu (I promise it’s the last). Hope you enjoy them. Click on them to see very large. The aquarium just south of Waikiki is one of the best I’ve ever seen. 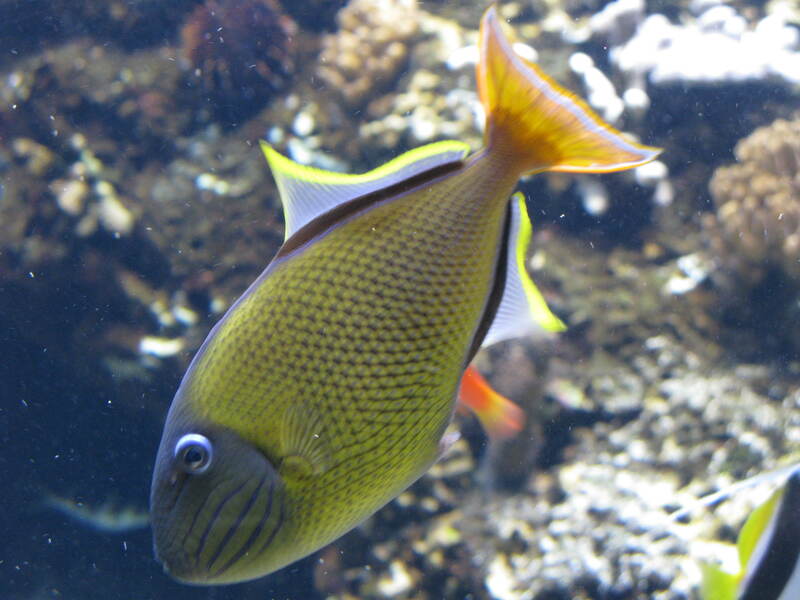 The fish are amazing and the tanks are beautifully designed. 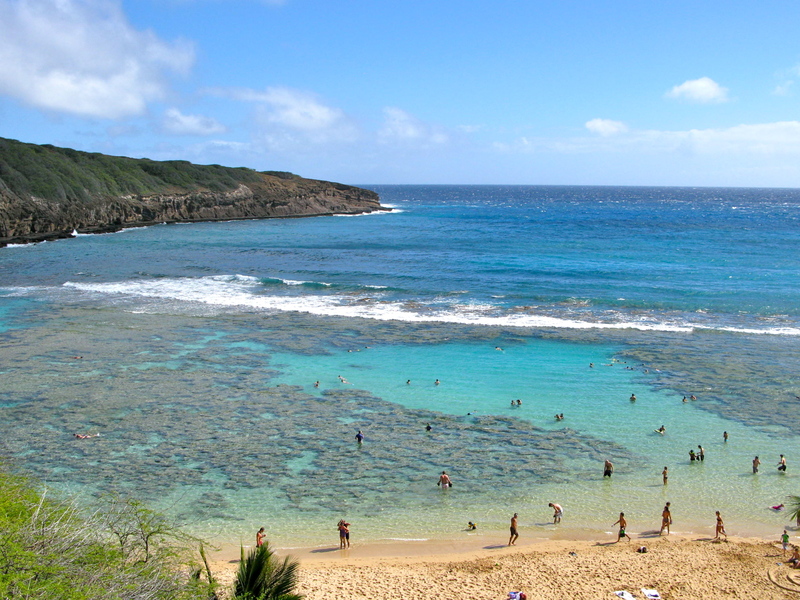 Hanauma Bay is THE place to go snorkeling. I now wish I had looked into getting a prescription lens for snorkeling (I am very near sighted) so I didn’t go in. My husband had a great time and was able to get inches away from the fish. The great thing about this place is that they severely limit the number of people here. The parking lot fills up early and then they turn people away. 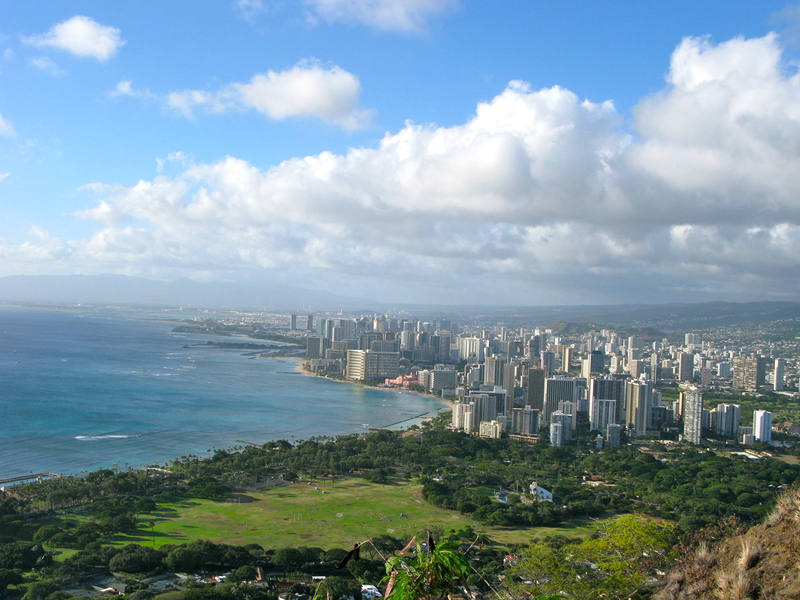 Waikiki Beach from the top of Diamondhead. 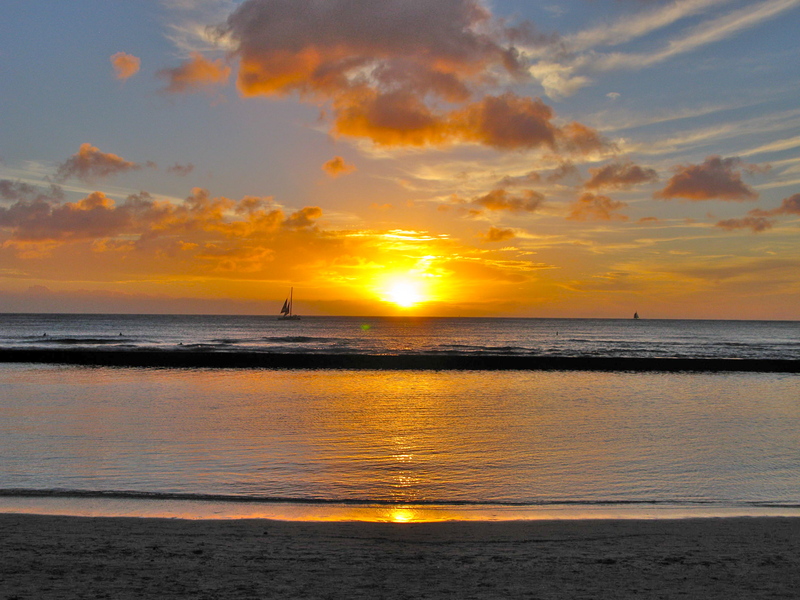 Every evening the sunset was spectacular and people would just hang out on Waikiki Beach for the show. The pink hotel is one of the oldest — the Royal Hawaiian. Thanks…beaches are good for that! Oh my gosh Anita, you really have the most beautiful blog I’ve ever seen on here. These photographs are just stunning, as are your paintings. If anyone should have their blog featured on “Freshly Pressed” – it’s you!! Wow! Thanks so much! I will try to live up to these remarks, Patricia. 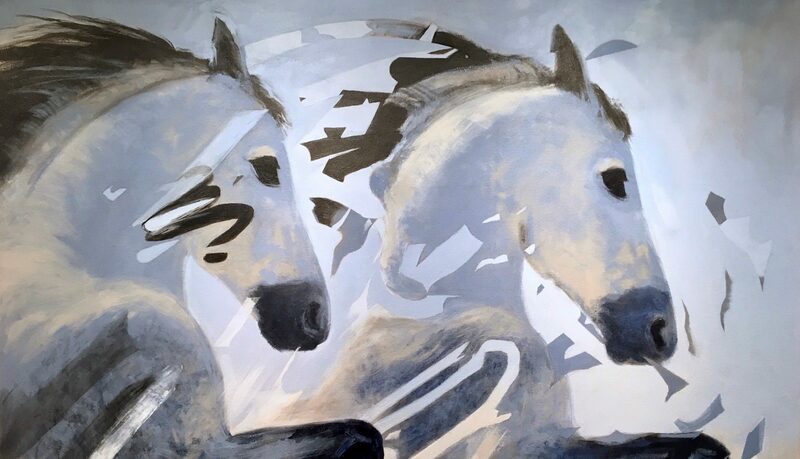 As of now, though, I am struggling mightily with a painting I started over a year ago. Can’t give up on it and can’t seem to finish it… I will get over to your blog and see what you’ve been up to soon. Thanks again for your kind comments. Anita, I shared all of your gorgeous photos of your Hawaii trip with my husband tonight. It was so wonderful to hear his stories of snorkeling for the first time on the exact same location as your photos (Hanauma Bay). 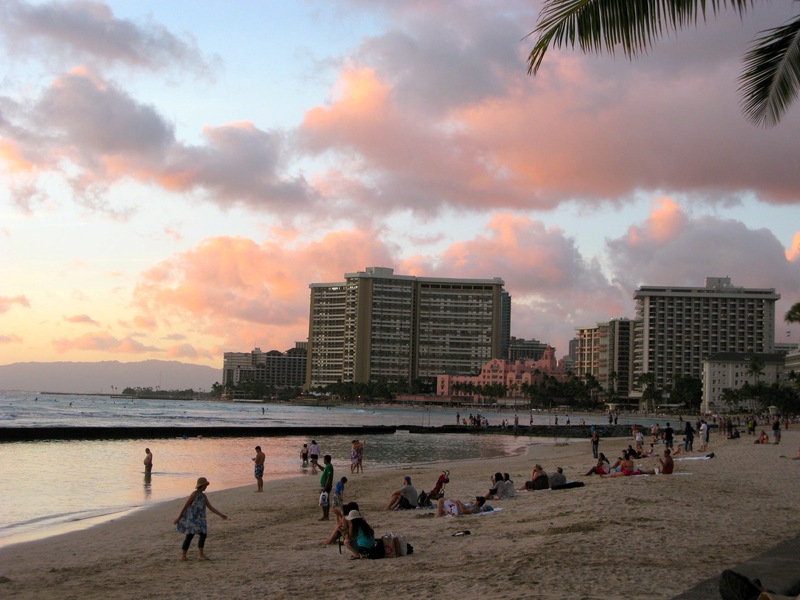 I really want to see Waikiki Beach now too. Your silver sunset photo is just exquisite. Thank you so much for posting these – I really enjoyed seeing all of them! I hope you do decide to do landscape painting from these! Patricia, I’m glad you and your husband enjoyed these. 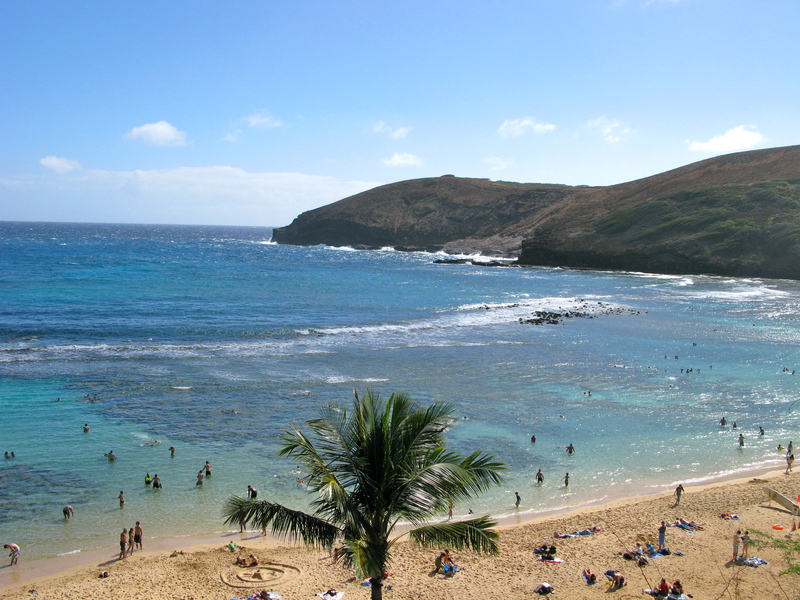 I can’t say enough good things about Hanauma Bay. It was really special. There are a couple major downsides to Waikiki and Oahu – the very bad traffic is one. Good thing we left extra time going to the airport as the major highway was totally backed up and no one seemed to know why!